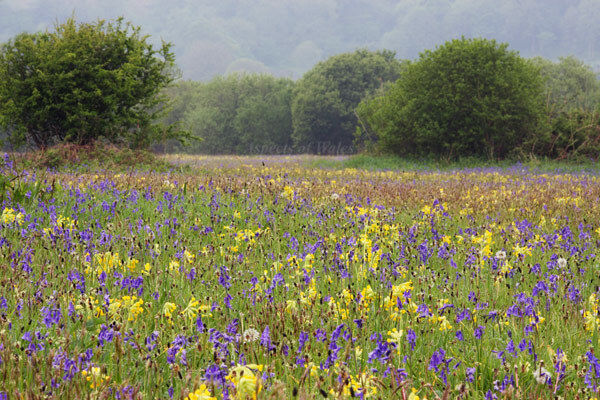 A field of cowslips and bluebells, taken earlyish morning in May 2008 from the road down to Oxwich at NGR SS5016487026. Canon EOS 40D, Sigma 105mm macro lens, Manfrotto tripod. Exposure F16 at 1/15sec. Original image in Raw format.